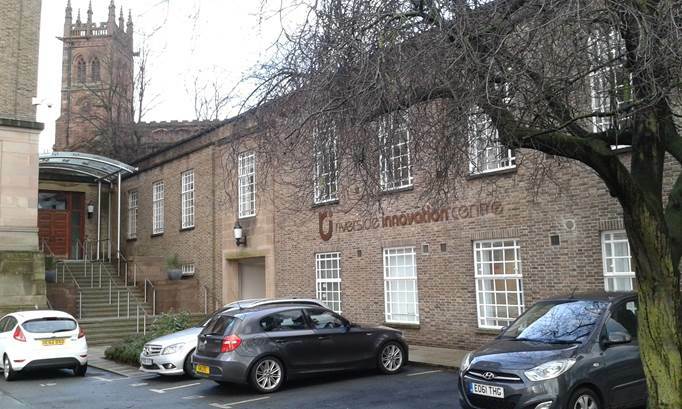 Property Description: Private office space at an attractive riverside location within 5 minutes walk of the city centre the University of Chester’s Innovation Centre. Modern office space with access to meeting rooms, video conferencing facilities and onsite parking. Co-location with Chamber of Commerce, Cheshire West and Chester Council’s Business Growth Team and several innovative start up companies. 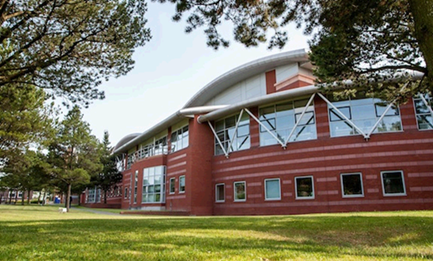 Location and access: Riverside Innovation Centre at the Southern edge of the city centre, just off the A483 (Wrexham Road). Chester train station is 5 minutes away with direct services to London taking just 2 hours. Manchester Airport can be reached in 35 minutes. Previous tenants have included: Footsqueak, Intellery, SigmaServe and KPMG. Property description: A full-height atrium creates an impressive entrance to this office space which is in a very modern three-story office building on a prime site in Chester Business Park. 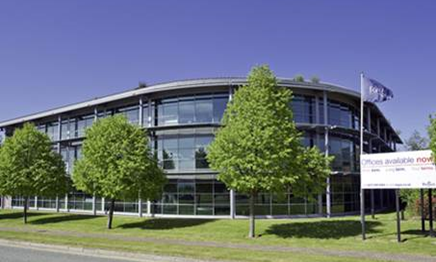 Over 7,500 people work in this popular 175 acre landscaped business environment for a range of well respected companies in fields ranging from financial services and pharmaceuticals to packaging, retail, training and overseas property. It is in a fantastic location just south of Chester with easy access to the major business towns and regions of the north and superb transport links to Warrington, Liverpool, Manchester and North Wales. For many businesses, Cheshire is synonymous with innovation and cutting-edge development and a strong cross-section of industries call the region home, although 80 per cent of the workforce is employed in the service sector, in tourism, retail, public administration and financial services. Other nearby industries include aircraft manufacture and food processing plants. Details: Desk in shared co-working space from £129+VAT per month, Private offices: 80 sq ft (1-2 people) £269+VAT per month 183 sq ft (up to 4 people) £779+VAT per month, Annual contracts will allow for more flexibility with space and easier upgrade. Location and access: The park is located on the outskirts of Chester just off the A55. Chester train station is 10 minutes away with direct services to London taking just 2 hours. Manchester Airport can be reached in 35 minutes. 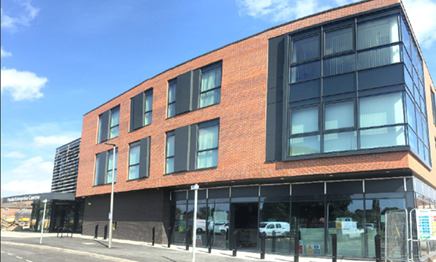 Property description: The property is a newly built, state-of-the-art building situated on the outskirts of Chester City Centre providing high specification office accommodation on simple easy-in and easy-out leases. Offices on the first and second floor have air conditioning, raised floor, dedicated parking, individual key fob entrance, fibre optic comms/high speed broadband, staffed reception, free use of meeting rooms and hospitality areas, in-house business support, training and advice, and access 6 days a week from 7am – 7pm. Location and access: Ten minutes from Chester City Centre and the station, Blacon is on the North Western edge of the city off the A548 (Sealand Road). Location and access: Formerly Shell Research Centre, the site is located off the A5117, half a mile from Junction 14 of the M56 motorway. Thornton Science Park is also 1 mile from Junction 11 of the M53 motorway, the location of Cheshire Oaks retail park. Manchester Airport is 25 minutes away. Property description: With Obsidian Services Offices: cleaning, lighting, heating, an individual air conditioning unit and the use of all facilities are included. You will have access to the meeting rooms and photocopying as well as a Broadband Internet connection and 24 hour access to your office, for which you will be issued with your own key and unique alarm code. Obsidian Offices Business Postal Address Service provides a prestigious Chester business address and can handle mail and parcel deliveries, which can be held for collection as well as Personal Assistant and Receptionist to handle your calls professionally. Reduced prices on meeting room hire, photocopying and secretarial services, free company advertising in the reception area and convenient free parking. Other administrative duties and IT support available. Details: 138.95 sq ft office available immediately – £420+VAT per month; £132 monthly business rates, 266 sq ft office (5 person) available immediately – £480+VAT per month; £196 monthly business rates, (Figures based on 12 month licence). 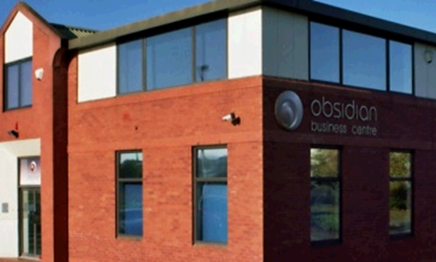 Location and access: Obsidian Offices are located on Sovereign Way, off the A548 (Sealand Road). Seven minutes outside the city centre, ten minutes from Chester station. M56 motorway 5 miles away.